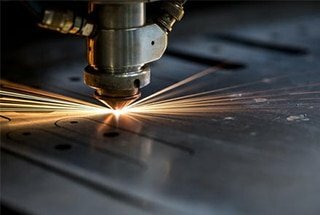 The installation and commissioning of laser cutting machine are very important for every factory, so please keep reading following details before operation. Please open the wooden box according to the tips outside the box, so as to avoid damage to the laser cutter equipment inside the box. Please do not use sharp objects to open protective film so as not to cause the equipment surface scratches and damage the protection of pipeline electrical installation. If the customer caused the damage, the company is not responsible for the replacement. A) After opening the package, please confirm whether this is the laser cutter you purchased. B) Check if the laser cutter is damaged during transport. C) Check the list to confirm whether the parts are complete, with or without damage. D) If there is a laser cutter’s model does not match, lack of accessories or have transport damage, etc., please contact the company. Installation and fixed laser cutting machine please refer to the factory Foundation map, transport according to the lifting position. 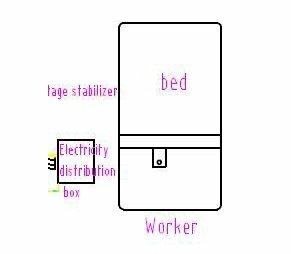 Please employee professional electrician does power distribution wiring in accordance with the requirements, shall not damage the machine during installation and fixing. 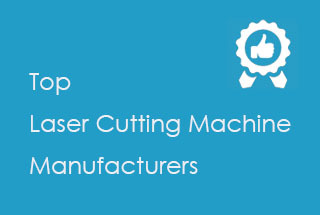 Install and fix the laser cutting machine according to the plant Foundation map and install according to our proposed principle of the layout, installation, and fixing shall not damage the laser cutting machine. 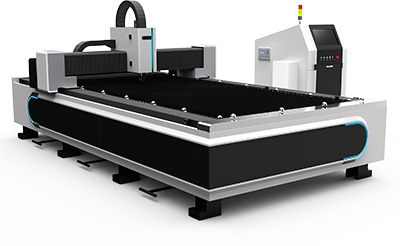 Machine commissioning requires professional staff, must be strictly in accordance with the relevant provisions of the implementation, please understand the performance of the laser cutting machine before reading and read the relevant random technical information. The correct commissioning is to ensure the normal work of the machine, if unknown, please contact us promptly, we will be in the fastest time, give you a satisfactory answer. Note: This debugging method includes the commissioning method after the machine is powered on. B) Insert the existing plug in place (the position is unique), insert the encoder plug into the corresponding servo drive according to the above number, and insert the amplifier plugged into the height adjuster. D) to connect the main power (we are using three-phase four-wire system, yellow and green line for the zero line, the remaining three for the fire line). In summary, the electrical external circuit connection has been completed, in the next section, we discuss the waterway connection. 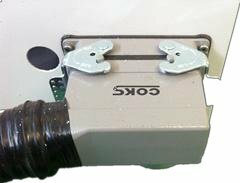 The ground wire of the power cord must be grounded reliably. Otherwise, the signal inside the machine cabinet will be disturbed and encountered a risk of leakage. Chillers should be placed smoothly and have a certain distance from the wall. Chillers installation site must have enough air inlet and outlet space to prevent poor cooling of the chiller, water cooler fan cannot face the distribution cabinet, otherwise, it may cause the cabinet high temperature. First, clean up the debris inside the water tank to ensure that the water inside the tank clean and have no impurities; and then check whether the water pipe system joints loose. 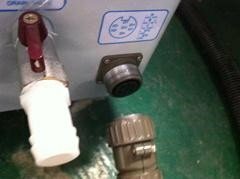 Connected to the inlet and outlet pipes in accordance with the signs on the chiller shell, connected with the inlet and outlet door of the laser, should not dislocate the direction of the inlet and outlet of the water pipe, before connecting the water pipe, should ensure that the outside pipe of the chiller without garbage and foreign matter. Check whether the sewage valve is closed and add water to the tank. The water level should be less than 30mm to 50mm on the tank to prevent water from overflowing. Chilled water units do not allow the use of general tap water, must use high-quality pure water, distilled water or deionized water. It is strictly forbidden to add any corrosive liquids. There is an air switch behind the water cooler, open the switch to test running when the water channel is connected well. After the pump operated, check the various joints with or without water leakage, if there is, turn off power, and then turn on power when problem solved. 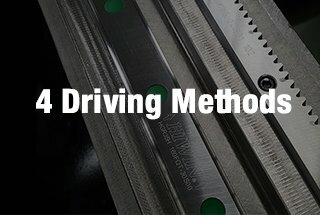 Nozzle design and jet flow conditions have a direct impact on the quality of cutting; nozzle manufacturing accuracy is closely related to cutting quality. ▲ to prevent cutting debris and other debris up bounce into the cutting head and damage the focus lens. ▲ the nozzle can change the cutting gas discharge situation, can control the gas diffusion area and size, thus affecting the cutting quality. The figure below shows the ejected case where the nozzle is installed and not installed. Compared to CO2 laser cutting machine, fiber laser cutting machine is no optical path, only need to adjust the laser at the nozzle mouth. When the cutting gas in the jet, resulting in uneven gas volume, so that the cutting section is more prone to the side of the stairs, the other side doesn’t have. For cutting the sheet below 3mm, its impact is small, while cutting the plate above 3mm, its impact is more serious, sometimes cannot cutting. 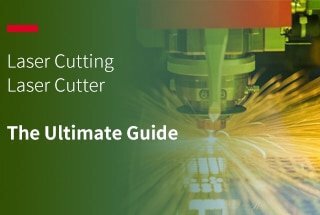 In the cutting of sharp corners or smaller angle of the workpiece, prone to the local over-melting phenomenon, may not be cut when cutting thick plate. In the piercing instability, time is not easy to control, the penetration of the thick plate will cause the situation of melting, and the penetration conditions are not easy to grasp, the impact on small pieces perforation is small. In summary, the center of the nozzle and the concentricity of the laser is one of the important factors contributing to the quality of cutting, especially when the workpiece is thicker, its impact is even greater. 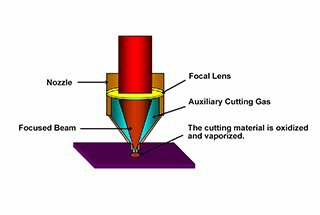 Therefore, it is necessary to adjust the center of the nozzle with the laser concentricity to obtain a better cutting section. Note: When the nozzle is deformed or there is fouling on the nozzle, its effect on the cutting quality is the same as described above. 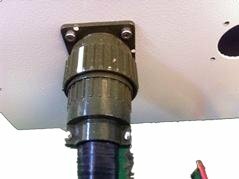 Therefore, the nozzle should be placed carefully and not bruised to avoid deformation. The stains on the nozzle should be cleaned. 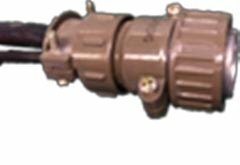 The quality of the nozzle in the manufacture has higher precision requirements, the installation also required correct method. 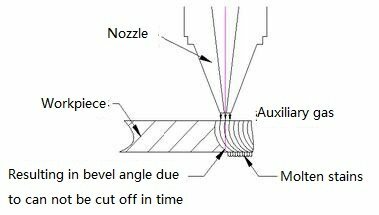 If due to the poor quality of the nozzle caused to change the various conditions when cutting, should promptly replace the nozzle. 1) the thin plate below 3mm: the use of φ4mm, the cutting surface will be smaller; the use of φ2mm, the cutting surface will be thick, easy have melted stains at the corner place. 2) the thick plate above 3mm: the cutting power is higher, the relative heat dissipation time is longer, the relative cutting time also increased. Use φ1.4mm, the gas diffusion area is small, so when used is not stable, but basically still available. 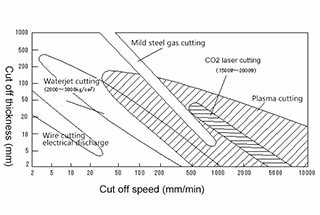 Use φ2mm, gas diffusion area is big, gas flow rate is slow, so the cutting is more stable. 3) 2.5 mm in diameter, can only be used for more than 10mm thick plate cutting. In summary, the nozzle size has a serious impact on the cutting quality and perforation quality. 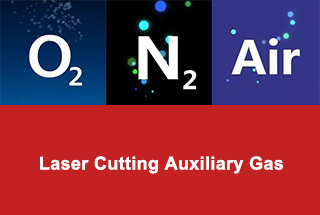 The current laser cutting machine more use φ 1.4mm, φ 2mm aperture nozzle. “Note”: the larger the nozzle aperture, the worse the relative protection of the lens, because the spark splash of the melt when cutting, there is the big possibility for it go upward, making the lens life shorter. 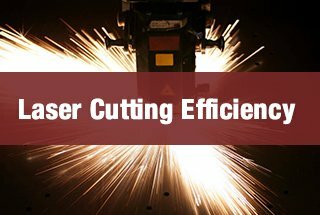 In the laser cutting process, the relative position of the beam focus and the surface of the cutting sheet has a great influence on the quality of the cutting, and it is very important to properly adjust the focus position. Generally can be changed by changing the focus of the test cut, when the back is not hanging slag and the smallest cut when the corresponding steel plate is the focus of the location. After the change of the relative position of cutting head and the board, the cutting head and the sensor zero point also need to be changed, micro-adjustment can be completed by adjusting the cutting height of the software; when the amount of adjustment is large, it is necessary to adjust the sensor and the relative position of the bracket to complete focus adjustment. Be careful to do this work, otherwise, it is easy to cause cutting head hit downward, causing damage to parts. may cause no cutting, sparks scattered. Some areas can be cut off, but some areas cannot be cut off. resulting in the entire cutting section thicker, but no fusible generation. caused the cutting plate over-melting, with the rough cutting section. the slit will be widened accordingly, cause the entire area melting in the smaller fillet or sharp corners, cannot get the ideal cutting effect. low cutting efficiency, affecting production capacity. 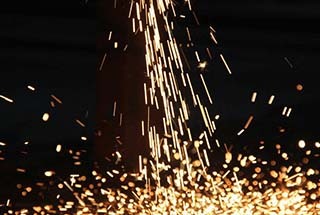 the appropriate cutting feed speed choice: from the cutting sparks can determine the feed speed: the general cutting sparks are spread from top to bottom, if the sparks tilt, the feed rate is too fast; if the spark does not spread and less, condensed together, then the feed rate is too slow. 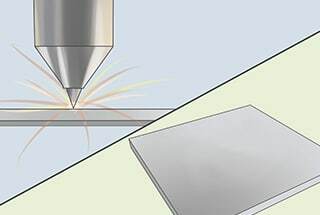 With appropriate cutting speed, the cutting surface showing a smoother line, and the lower half of the plate do not fuse. 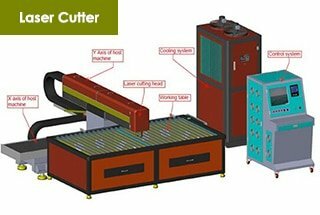 According to the different material of the cutting, plate to choose a different cutting gas. 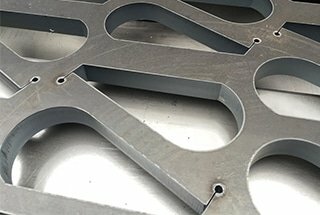 The choice of cutting gas and pressure has a great impact on the laser cutting quality. 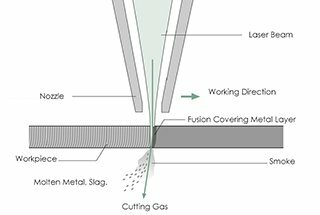 The main function of cutting gas: combustion and heat dissipation, in a timely manner to blow off the welding of the stains, to prevent cutting stains upward into the nozzle, protect the focus lens. 1) cut the gas to help heat and combustion, blowing away the stain, so as to get a better quality cutting section. 2) When the pressure of the cutting gas is insufficient, it will have the following effects on the cutting quality: the fouling occurs at the time of cutting, and the cutting speed cannot satisfy the influence of the production efficiency. 3) When the pressure of the cutting gas is too high, the impact on the cutting quality: cutting surface is rough and wide slots; at the same time will cause part of the section melting, cannot form a good cutting section. 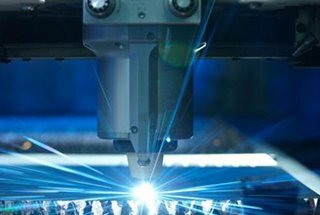 1) When the gas pressure is too low, the laser is not easy to penetrate the cutting plate, drilling time increases, resulting in low productivity. 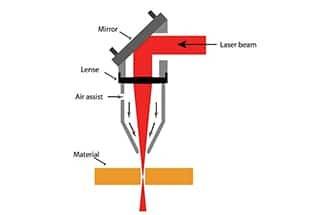 2) When the gas pressure is too high, resulting in penetration point melting, format a larger melting point, thus affecting the quality of cutting. 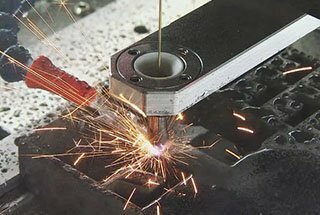 3) laser drilling general use high sheet metal punching pressure, while the thick plate of the punch makes use of lower gas pressure. 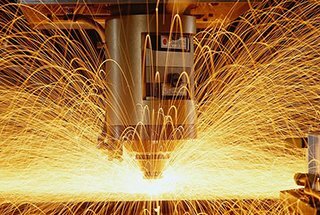 4) in cutting ordinary carbon steel, the thicker of the material, the relatively lower pressure of the cutting gas. 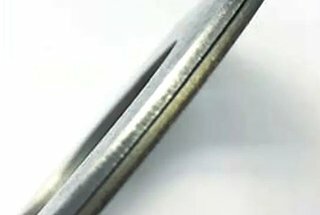 In the cutting of stainless steel, although the cutting gas pressure does not change relative to the thickness of the material, the cutting gas pressure is always in a high state. 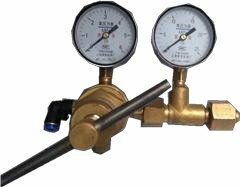 Pressure relief valve description: the left side of the table shows the current pressure, the right table shows the remaining gas capacity. Oxygen supply pressure should not exceed 10Kg, or likely to cause the gas pipe burst. 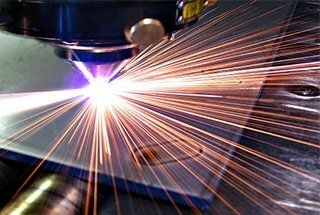 The choice of laser power size also have a certain impact on the cutting quality, cutting power should be determined according to the material and the thickness of the plate, too large or too small power will not ensure to get a good cutting section. A) Too small laser power will cause no cutting. 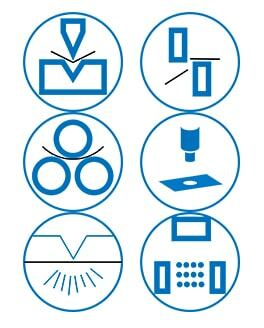 B) When the laser power setting is too large, the entire cutting surface is melted, the slit is too large, and good cutting quality is not obtained. 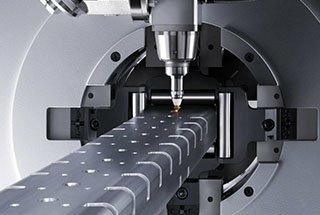 C) When the laser power setting is insufficient, the cutting fouling will occur and the scars will be generated on the cutting section. So set the appropriate laser power, with the appropriate cutting gas and pressure, can get a good cutting quality, no fused stain on it.